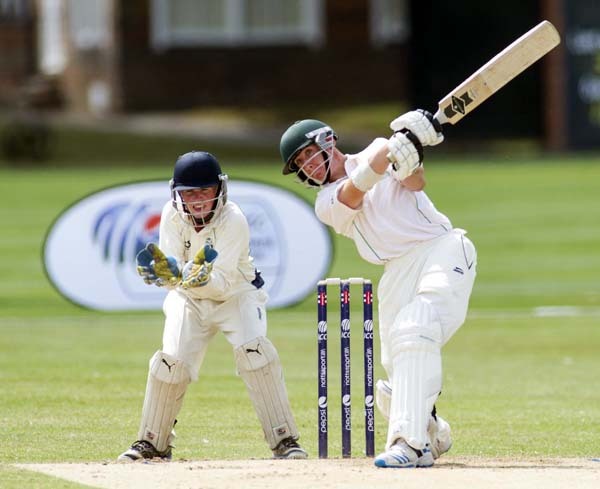 Cricket Ireland has announced that eight promising young players will join the Shapoorji Pallonji Cricket Ireland Academy. Among the inductees who will join the existing 22 Academy members is 14 year old Gaby Lewis who last year became the youngest player to represent Ireland when she lined out for the senior side in the 2014 ICC European Championships in the UK. She will be joined by promising North County batsman Jamie Grassi who was the stand-out performer with the bat for Ireland Under-15s in 2014, whom he helped to victory in the European Championship as Ireland completed a clean sweep across all European competitions. The National Academy players are under the stewardship of Academy Manager Craig Hogan, who commented: “Over the past twelve months since the inauguration of the National Academy, Ryan Eagleson (National Academy Performance Coach) and the Cricket Ireland coaches have been identifying young cricketers who have demonstrated the ability, attitude and desire to learn and be challenged. Shapoor Mistry, Chairman, Shapoorji Pallonji, who became Cricket Ireland’s Official Academy Partner in 2014 said: “I am pleased to learn about the intake of eight more interns in the Shapoorji Pallonji Cricket Academy. I am sure these youngsters under expert guidance will blossom into great cricketers for Ireland.